This last weekend, I embarked on yet another journey into Shuri to learn more about this area that has had such an outstanding impact on Okinawa and the Ryukyu culture as a whole. According to the map book I keep at home, Shurijo Castle Park is only about two kilometers from my house, so I decided to walk to the castle and soak in as much as possible from the area surrounding the site of this ancient capital. I had heard from many friends that the castle was an excellent sport for sightseeing, but nothing could have prepared me for the beauty I was about to witness firsthand. However, though the castle was truly only two kilometers from my apartment, the march was a constant uphill battle and I recommend you drive to the park unless you are in excellent physical shape. Shurijo Castle has a very long history of conflict and defeat, but it has nonetheless shaped Okinawa and the Ryukyuan culture. Around 1314, conflict between many local chieftains known as Aji eventually led to the establishment of three separate principalities under the most powerful Aji on Okinawa. Hokuzan was the Northern principality based in Nakajin Castle, Chuzan was based at Urasoe Castle, and Nanzan, the Southern principality, was based at Shimajiri Ozato Castle. 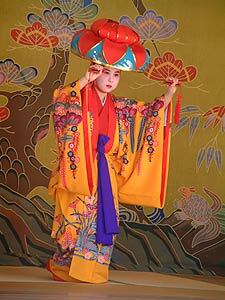 This period is known as the Sanzan period, the era of the three kingdoms. In 1372, the Emperor of Ming sent his envoy to advise Ryukyuan authorities to pay tribute to China and recognize the Emperor’s authority to grant legitimacy to Ryukyuan rulers. Satto, king of Chuzan, accepted the demands and sent his brother to offer tribute. Thus, 1372 was the start of tributary relations between China and the Ryukyus and a beginning of the golden age of trade on Okinawa. Ryukyuan trade missions acquired vast amounts of Chinese goods and opened trading routes to Japan, Korea, and Southeast Asia to sell these goods. Thus, the Ryukyuan culture became somewhat of a mixing pot of the many countries the ancient Okinawans came into contact with. 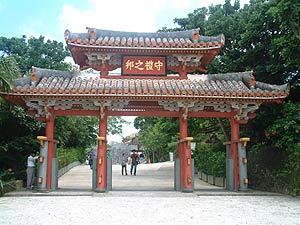 In 1406, Urasoe castle was attacked by Shisho and his son Sho and the seat of government was moved to Shurijo castle. Ten years later, Sho Hashi seized Nakajin castle, and in 1429, Sho defeated Shimajiro Ozato Castle, the center of Nanzan. 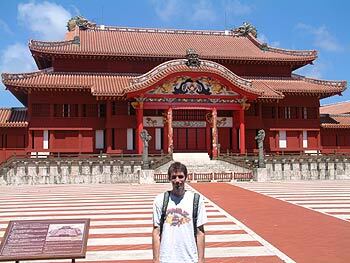 These accomplishments marked the birth of the Ryukyuan Kingdom with its center of power at Shurijo Castle. In 1469, a coup overthrew the first Sho dynasty at Shurijo Castle and the second dynasty emerged under Sho En. The third king of this dynasty, Sho Shin, consolidated the Ryukyuan kingdom and implemented a wide range of engineering projects in the areas surrounding Shurijo Castle. This led to the golden era of the kingdom. In 1609, the castle fell once again, this time from Satsuma invaders from Japan, and the king and his retainers were taken to Kagoshima, only allowed to return after vowing allegiance to Satsuma. Thereafter, the Ryukyuan rulers tried to rebuild the kingdom by doing whatever they could to stimulate industry and culture. In 1853, Commodore Perry and his fleet appeared at Naha Harbor and presented their demands to the Castle. This alerted the Ryukyuans to the drastic changes taking place around the world. In 1879, the Meiji government sent a force from the mainland to require the surrender of Shurijo castle. The king and his retainers had no choice but to obey the powerful forces and bring a close to Okinawa as the independent Kingdom of the Ryukyus. Though Shurijo has a long history of defeat, it was the center of the Ryukyuan Empire and has had much influence on the livelihood of Okinawan culture. Though Okinawa has been assimilated into the nation of Japan, the spirit of the Ryukyus still is very much alive and is reflected in the culture, music, arts and crafts, language, and lifestyles of the Okinawan locals. For me, the trip to Shurijo castle was a trip back in time to learn more about the land that has become my home and about those who had come before me. From all that I have seen and read about this historic spot, I have gained an even deeper respect for the island as a whole. Not only is the area of great historical importance, though. The castle is also magnificent and beautiful. The original was destroyed in the final days of World War II during the battle of Okinawa, but the castle was rebuilt and reopened to the public in 1992. The park has a great museum and gift shop where you can learn more about the history of the Ryukyus while visiting the castle. Driving to Shurijo Castle is very easy. If you are heading south on Highway 58, turn left at the Tomari intersection in Naha City towards Kokusai Street. Drive past route 330 and the Asato intersection and you’ll end up on Daido street. From here, you should see signs in English and Japanese announcing Shurijo Castle. Pad parking is available. Admission to the Castle is ¥800 for adults, ¥600 for high school students, and ¥300 for middle school students and younger children. The park is open from 9 a.m. to 6 p.m., and the ticket booth closes at 5:30 p.m. For more information, call (098) 886-2020.